Ouch! 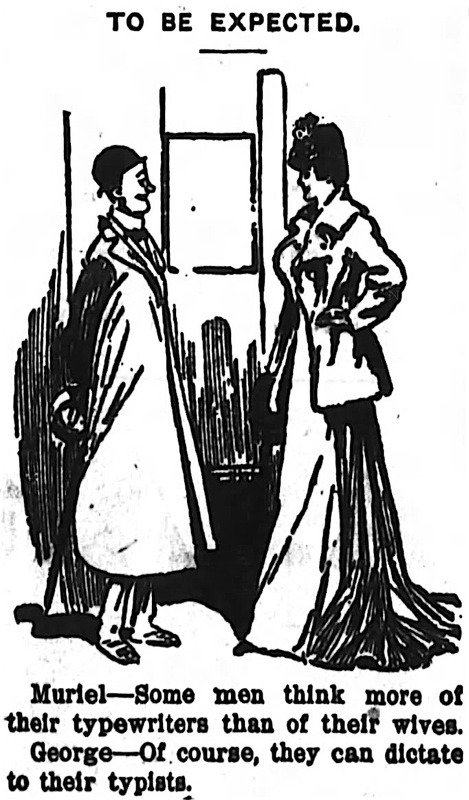 From the Daily News-Democrat (Huntington, Indiana), Jan. 15, 1907. Traveling in the Central African Republic in 2012, I spotted a sign in a cafe reading, “Wanted, Pretty Girls for New Airline.” I did not know that people still regarded woman as “girls” in the 21st century, let alone that they could be seeking “pretty girls.” Alas, CRA is yet a developing country. Call this a reversal of fortune! 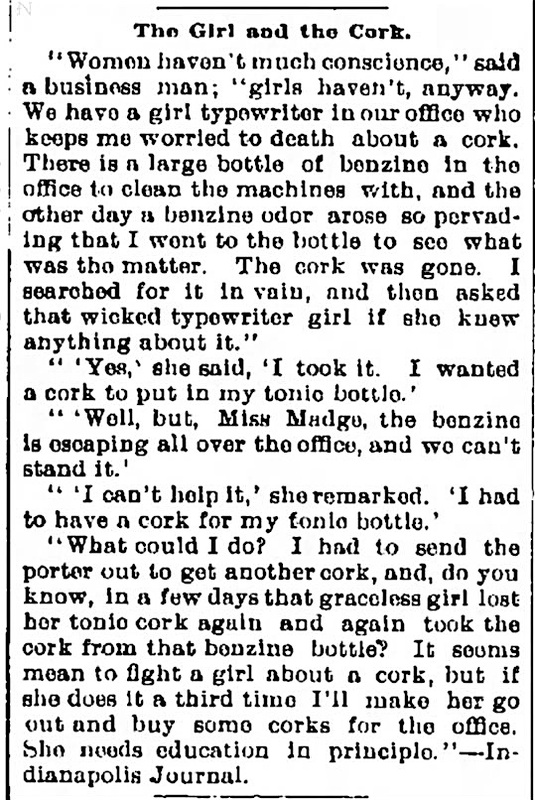 From the Atlanta Constitution (Atlanta, Georgia), Oct. 28, 1888. Put a cork in it! 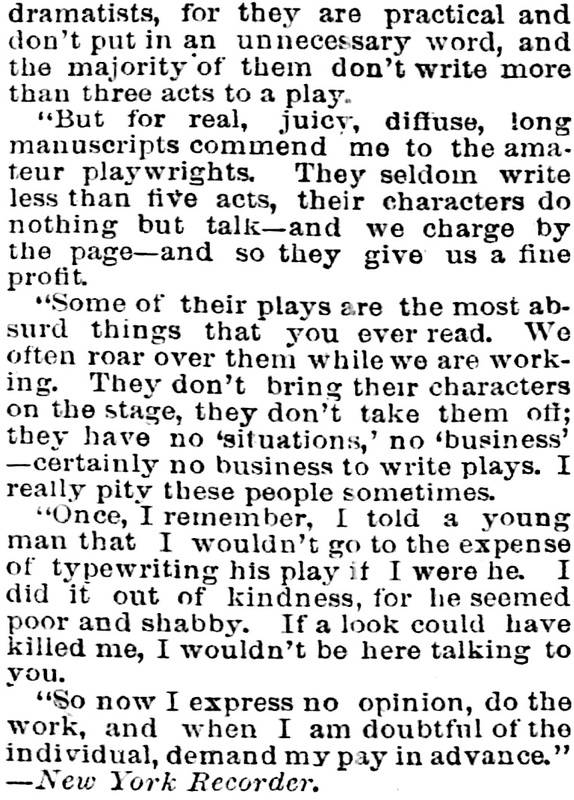 From The Daily Times (New Brunswick, New Jersey), May 25, 1896. Wickedly funny. 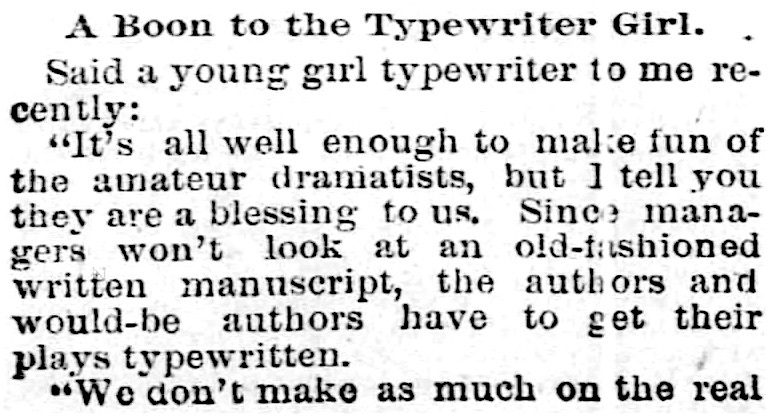 From the Daily Citizen (Iowa City, Iowa), June 21, 1892. 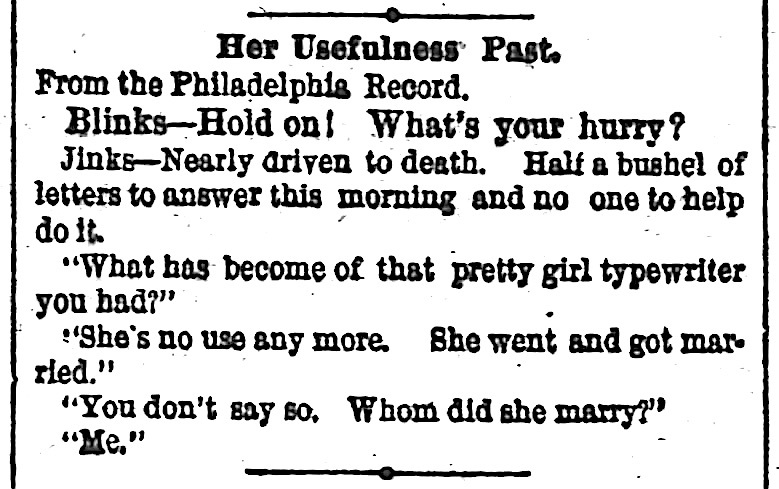 From the Philadelphia Inquirer (Philadelphia, Pennsylvania), Aug. 10, 1892. © 2016 – 2018, Mark Adams. All rights reserved. Henry Mill's patent for "Impressing Writing on Parchment"
My wife got a kick out of the first one.